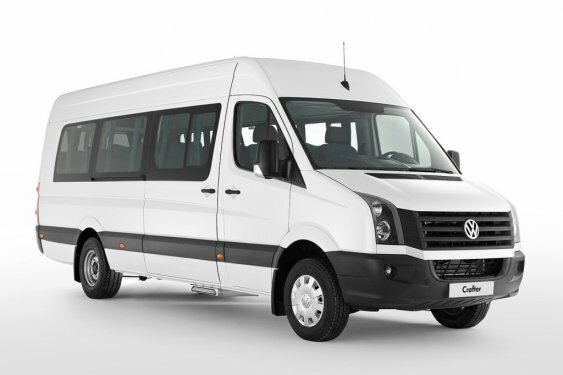 As a transfer company, Rain Transfers will provide you a safe transfer between Dalaman Airport – Marmaris, Bodrum Milas Airport – Bodrum and back with comfortable vehicles. 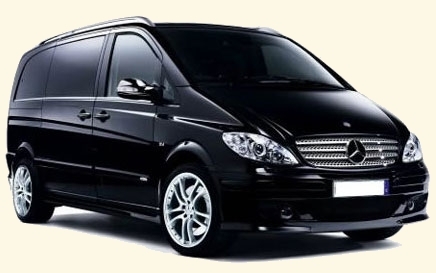 We also do provide Marmaris Airport Transfers all around the Turkey with experienced staff. We will welcome you with the board that your name written on and take you to your located Hotel. Dalaman Airport, is one of the İnternational Airports in the district of Mugla. Guests who will visit Marmaris and around districts will use Dalaman Airport. Your transfer journey from Dalaman Airport to Marmaris will be about 94 kilometers. 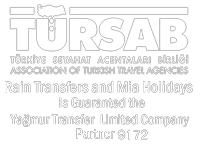 The other İnternational Airport is in the district of Milas, Bodrum Milas Airport , distanced 36 kilometers to Bodrum. İzmir Adnan Menderes could be used to travel Bodrum too. 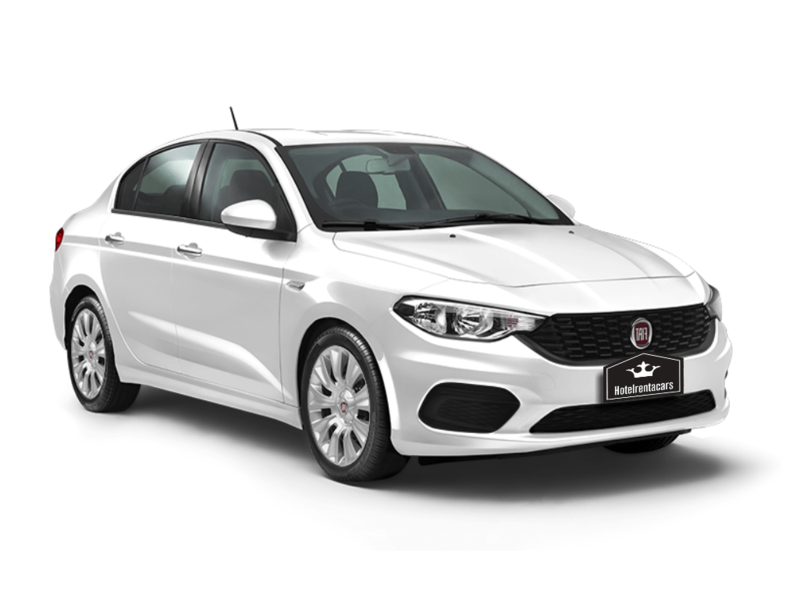 We offer you an easy and reliable transportation at the beginning and at the end of your journey. 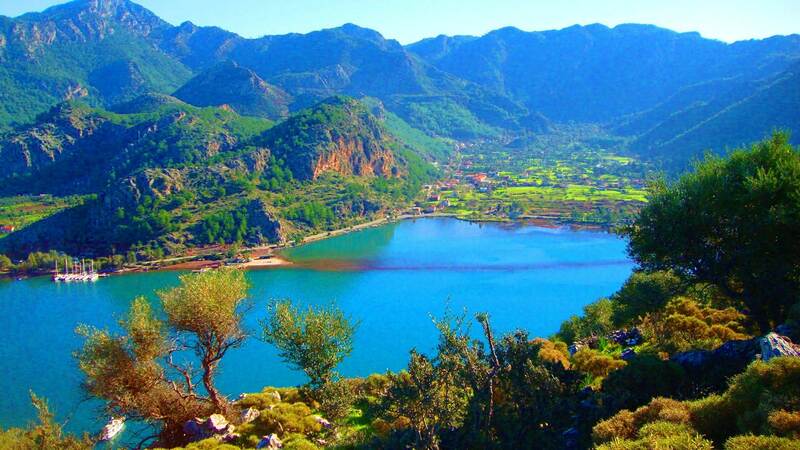 Marmaris welcomes over 1.5 million visitors every year. At the first step you will feel the serenity and many beauties worth to see. 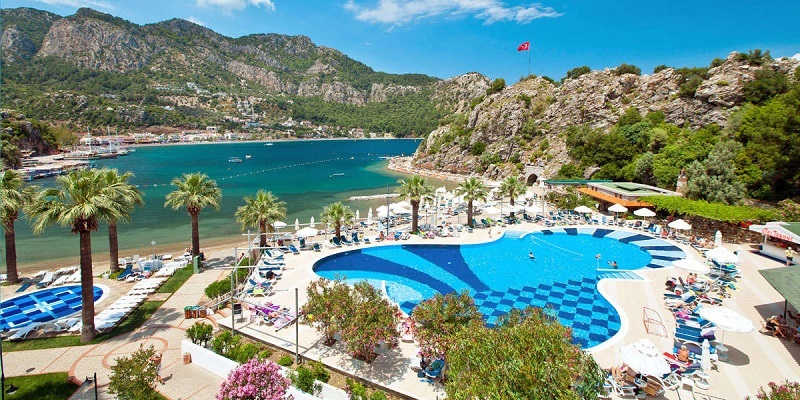 You may spend your all day at the famous beaches like Marmaris Icmeler, Turunc , Kızkumu , Kumlubuk with sunbathing , or experience water sports like jet-skiing , diving and go on a boat tour. Since you go on a boat tour , you will have a chance to see many islands in a day. 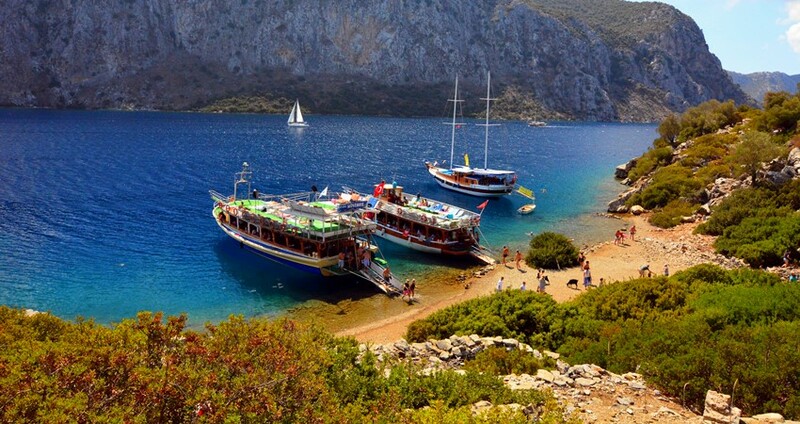 Since neighboring the Island Rhodes , 50 minutes away with ferry tours , takes off everyday. A lot of visitors prefer to stay at Marmaris İcmeler for its nature , sea and the calmness.Distance between İcmeler and Marmaris city center is 7 kilometers , quite easy to find public bus to reach center. At the centre of Marmaris, you can find lots of restaurants with sea view. There is a long path that you can walk through the Marmaris and enjoy your holiday. Marmaris is famous for its nightlife , Many Festivals and concerts are helding through the season. You can have fun at the most popular clubs.